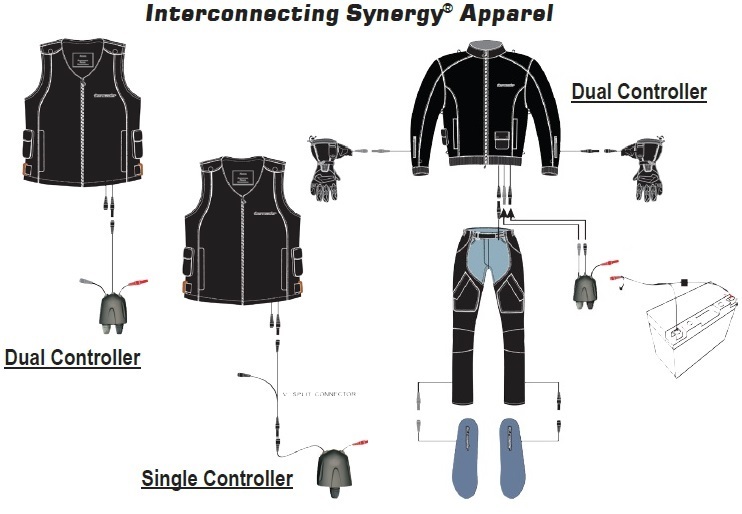 Tour Master Synergy 2.0 apparel is designed to operate from a vehicle\xCDs standard 12-volt electrical system to provide unmatched levels of warmth and comfort. With Synergy 2.0 apparel, wearers can be warm without the bulk and discomfort typically caused by excessive layers of clothing. By providing increased warmth and mobility in cold temperatures, Synergy 2.0 apparel helps reduce fatigue while increasing safety and enjoyment. Includes: Gloves, Power Lead Battery Harness, and Singe Rheostat Unit (Temperature Controller) Each Synergy 2.0 garment is heated by a series of durable steel fiber heating elements, which generate safe, electronically controlled infrared heat. In addition to safe and even heating, the steel fiber elements are lightweight, flexible and safe to operate in wet conditions. It is flexibility that allows Synergy 2.0 garments to fit comfortably under protective riding apparel. IMPORTANT: Before using this guide, please make sure that your screen resolution is set so that the inch markings on the ruler displayed on the gauge above are actually spaced one inch apart. 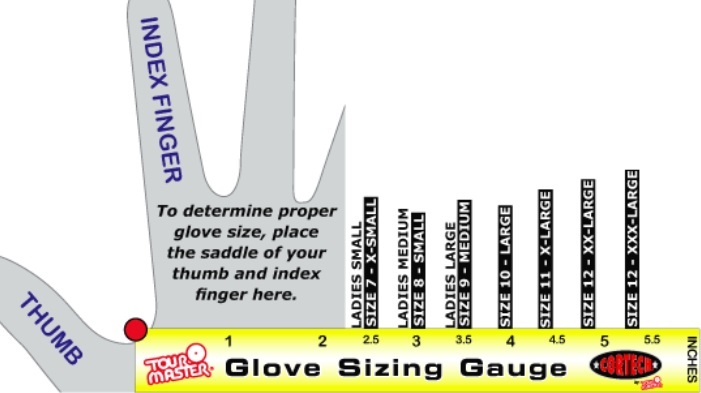 You can also manually measure the width of your hand with a ruler. 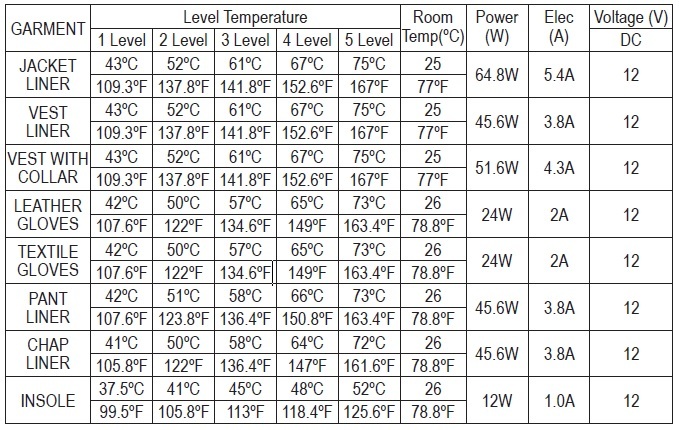 A new feature for your Synergy 2.0 heated apparel is the addition of a temperature sensor to each garment. This sensor allows your jacket to remain at a set temperature for the duration of a ride. It also serves as an emergency back up should your jacket get too hot. Combined with the I5A built in fuse in the wiring harness, you can ride in confidence knowing you are safe. To ensure the best possible performance, it is important that Synergy 2.0 apparel be form- fitting and fit snugly without hindering wearer movement or comfort. Heat is transferred to the wearer through close contact between the garment and the wearer\xCDs body. It is recommended that no more than one thin layer of clothing be worn under Synergy electrically heated apparel. Thick layers such as sweatshirts and sweatpants, increase the space between the garment and the wearer, decreasing the effectiveness of the heating elements.